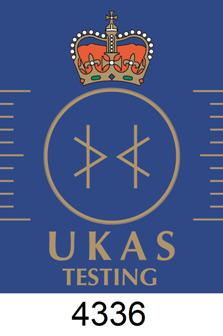 We are happy to announce that Raeburn Drilling and Geotechnical (Northern) Ltd has successfully completed our annual UKAS audit, and our re-accreditation of our entire UKAS schedule of laboratory and in-situ tests has been renewed. Over a two day assessment period in November of 2016, Raeburn Drilling and Geotechnical (Northern) Ltd was subject to our annual UKAS audit. During this time two assessors were present at our laboratory in Portlethen and conducted audits on the entirety of our accredited test list. The visit was very successful, On submission of the remaining supporting documents at the end of 2016, the recommendation was made by both of the assessors, that our UKAS accreditation be renewed for the next four years. The report was complimentary regarding the technical competence and understanding of our laboratory staff, as well as our commitment to the accreditation process. Without exception we are very pleased with the audit result, and look forward to official notification, following review by the UKAS decision board.